Escape the city to stay in one of the four beautiful circular marquees at Cotswold Yurts. Filled with sheepskins and woollen rugs, there’s a double bed with crisp sheets, a wood-burning stove and fluffy towels. The yurts are secluded in a magical woodland glade on a Cotswolds’ farm, with stunning valley views. Every yurt has its own terrace and one even has a double-ended roll-top bath with views into the tree canopy. Head to Otter Camp and enjoy a peaceful stay in an idyllic cluster of shepherds’ huts, with your own private wood-fired hot tub. Hidden away by a riverbank, one hut is a bedroom with a double bed and wood-burning stove. Another houses a charming bathroom. And a fisherman’s hut has been converted into a lounge and kitchen, which makes a perfect bolthole. There’s a ladder for access to the river where, if you’re lucky, you’ll catch sight of the otters that give the camp its name. A hidden Cotswold gem, Manor Farm is countryside getaway close to Broadway, one of the area’s most popular and picturesque villages. The farm offers beautifully designed wooden glamping pods in a natural setting, which all include decking, gazebos, futons, sofas and a barbecue. With gorgeous views and a picturesque riverside path to follow, this is a perfect starting point for exploring the North Cotswolds – or just unwinding. Lose yourselves in the seclusion of the 20-acre gardens at Talton Lodge – a stunning Queen Anne country home in Newbold on Stour – where you’ll find a selection of quirky camping options, each set in their own private spot in the original walled kitchen garden that kids will love exploring. Choose from an Orchard Wagon, large and small Mongolian Yurts, a Tree Boathouse, or a North American tipi with an outdoor campfire. The kitchen is in the cedar pavilion and there are three bathrooms plus giant tipi marquees, heated by wood burners. It’s within striking distance of Stratford for a spot of culture, too. Treat yourselves to a break at Doe Bank Farm Farm where there are three bell tents each with their own separate shower rooms. There’s even a heated outdoor pool, outdoor play area, indoor table tennis and a croquet lawn for whiling away those long summer afternoons. With bikes for hire and gorgeous walks for miles around, including the nearby Cotswold National Trail, this is an idyllic spot for families and couples alike. 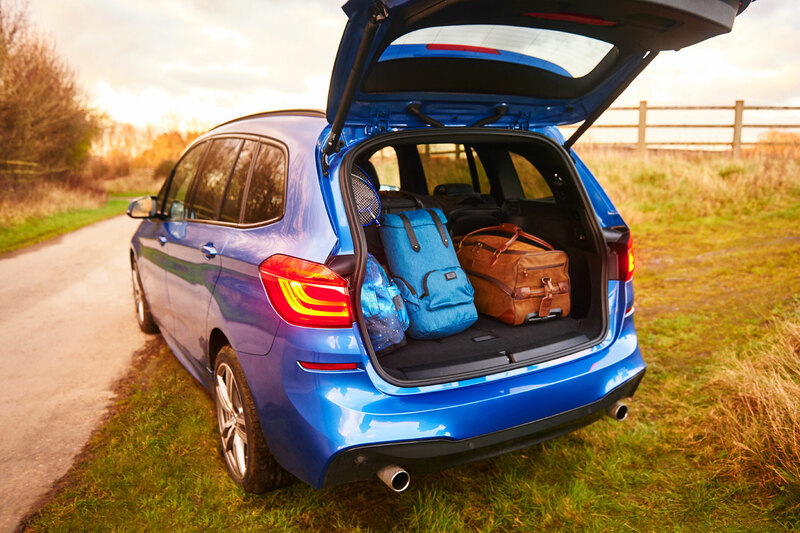 The BMW 2 Series Gran Tourer is a seven-seat car that’s perfect for filling full of family, friends and the vital belongings you’ll want on a glamping weekend. It’s automatic opening tailgate is a real asset when your hands are full of outdoor adventure luggage. 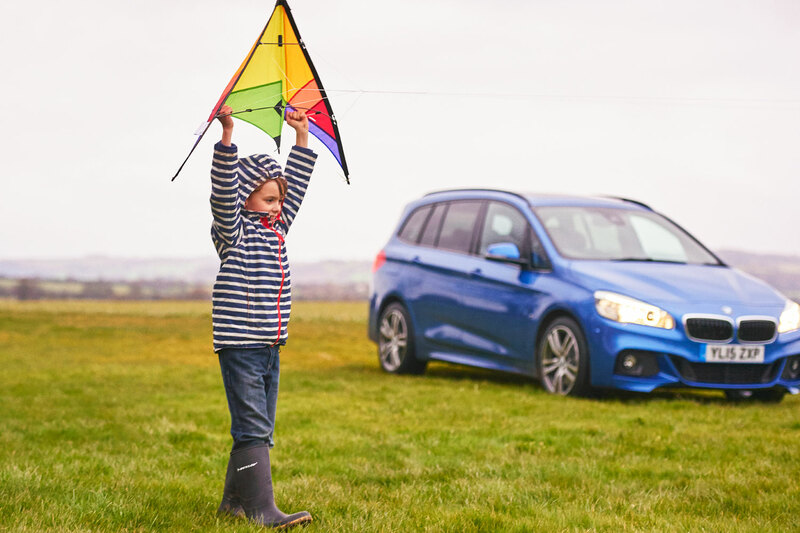 To win your own luxury family weekend away in the Cotswolds, with the use of a BMW 2 Series Gran Tourer for the duration, click here.